MUNICH SHOW: IAG to showcase a slew of new products | What Hi-Fi? International conglomerate IAG has snapped up large swathes of the British hi-fi industry and now owns Audiolab, Castle Acoustics, Mission, Quad and Wharfedale. In case you thought those brands had disappeared, think again. There'll be a broad range of new IAG hi-fi and AV products on display at the High End Show in Munich this week, running from May 19th to 22nd. A selection of components from Luxman will also be present. We'll be reporting live from the High End Show from this Friday, so check back here on whathifi.com later this week for all the key product launches and breaking news. 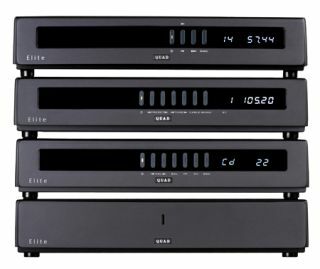 • Plus we'll have an exclusive First Test of the Audiolab 8200A amplifier in the July issue of What Hi-Fi? Sound and Vision, on sale June 2nd.